Kid Koala, born Eric San, is a Canadian DJ, musician, and turntablist. Over the past three decades, San has excelled in a number of creative pursuits. He’s a member of both Deltron 3030 and The Slew, worked with Gorillaz, DJ’d breakdancing battles, contributed to film scores for The Great Gatsby and Baby Driver, written graphic novels and many, many more fascinating projects. San grew up playing Super Mario Bros., but never imagined he’d be working with them one day. San has made a reputation out of his complex style of turntablism and use of unusual samples. He’s sampled music from Charlie Brown television specials, people sneezing, and even reading menus. His performances are cheerful and bright, with humorous quirks that make each concert special. San is known for playing the turntable like a melodic instrument- a long, drawn-out note is played at different speeds, creating different pitches. In Floor Kids, players breakdance their way to glory. The game encourages individuality by rewarding players for using innovative, unique moves. San wrote two album’s worth of music for the game and was in charge of all the sound production. It is a celebration of early B-boy music through the electro era and ’90s. Like the visual style of the game, the music is refreshingly scratchy and imperfect, just how San likes it, saying, “It didn’t make sense for me to say, ‘OK, I’m gonna gridlock all the sequencing and everything’s gonna be perfectly quantized and this and that. '” San uses different b-boy/girl sounds and street beats to make each track individual and engaging. The track “The Fundamentals” is a homage to golden-era hip-hop, with a crackling funk and soul mixed with drums that feels free and easy. “Keys & Kuts” is nothing short of nostalgic, with a spastic 2000s-style footwork sound. “Big Trouble In Little Battle,” released as a single from the soundtrack, features a wavering guitar solo alongside stomping drum beats. San pulls out all the stops to give this 42-track album rich textures. San has dedicated a tour to Floor Kids, as an edition of his Vinyl Vaudeville variety show, bringing the game into the real world. The tour will hit 18 cities across Canada and the US and will have demo kiosks for the game, encouraging concertgoers to get in there and battle each other. That’s because, for San, Floor Kids isn’t just a video game; it’s a vehicle for much more. While San and Ng aren’t game developers, they are excellently matched as creative partners, with Floor Kids as a testament. They are comfortable letting Floor Kids develop into whatever fans want, letting a younger generation explore a world they may not have been exposed to while creating a tribute to something that has made a huge impact on both artists in their careers. 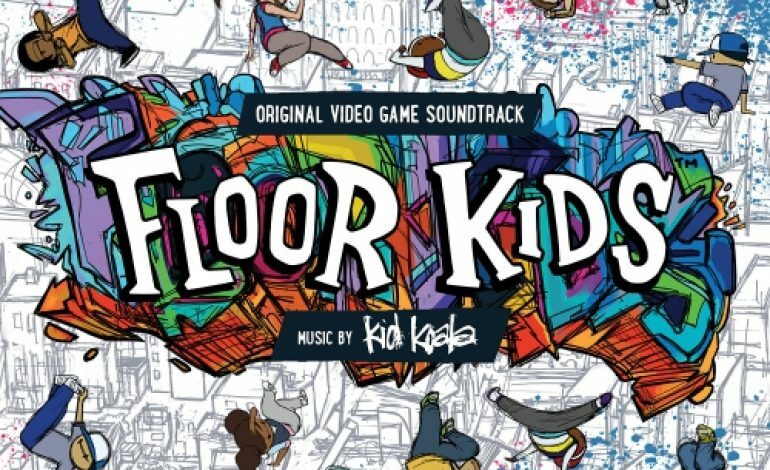 Floor Kids boldly establishes a new standard for how music and video games intersect- and is wildly fun, at that.